Toro’s national sales manager, Smith Power Equipment’s (SPE) Stephen Mangold says that this is one of the most efficient vacuum rake machines ever produced by Toro. “Importantly this model is not PTO-powered. 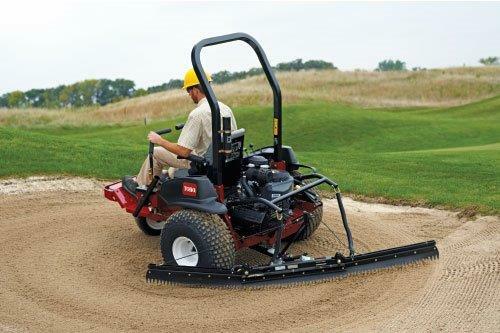 It has its own 23hp engine that gives it plenty of power to clean debris from the most difficult ground conditions. It also runs more quietly and smoothly than its predecessors,” he says. 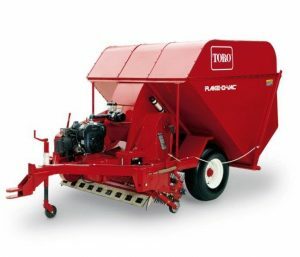 He adds that the Toro Rake-O-Vac has more than 500 brushes and these, in conjunction with its spring-loaded flex tip reel, provides exceptional sweeping performance especially with leaves and even difficult to handle pine needles. 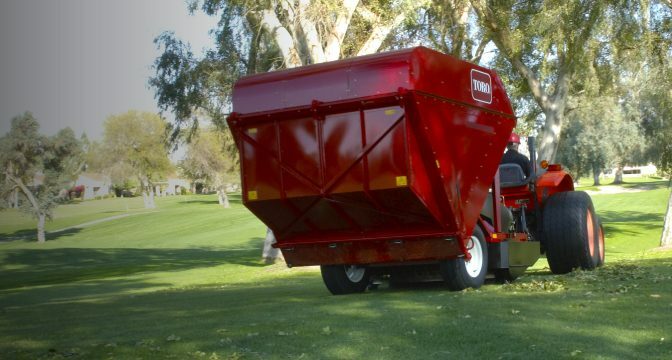 The Toro Rake-O-Vac’s large 3.63m³ hopper provides plenty of capacity for cleaning up large areas like golf courses, parks and estates. “In spite of this its design is compact and it is manoeuvrable enough to pick up debris from even the tightest of spaces,” Mangold says. One of the most important features of this machine is its rugged impeller fan which pulverises the leaves and debris saving space in the hopper. 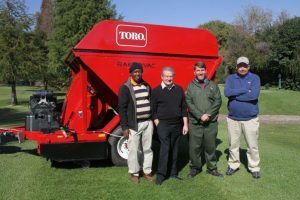 “Importantly the airflow in the hopper minimises dust by directing it back to the ground thus not creating any disturbance for golfers, adjacent houses or anything else,” Mangold says. Potgieter says that the Toro Rake-O-Vac is an important addition to River Club’s Toro fleet. “River Club is one of the finest golf courses in the country and for this it owes a lot to the Toro team and their equipment,” he says. In the 21 years that Mangold has worked with River Club they have used nothing but Toro equipment. “We deeply value our relationship with this great club and look forward to many years of mutually beneficial business,” Mangold concluded. Get more information here [click here]. 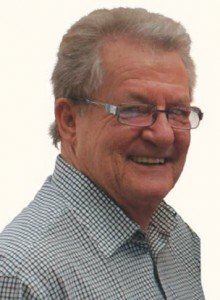 This article was featured in the Landscape SA – July Aug 2017.